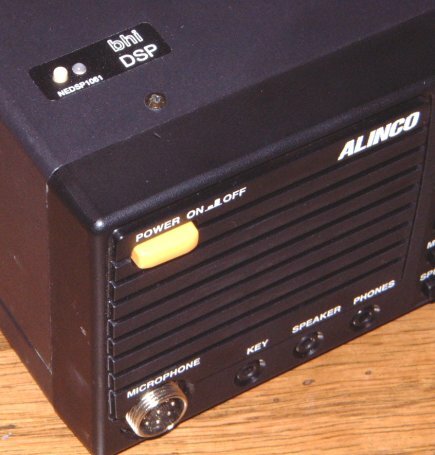 The audio performance of the ALINCO DX-77 Transceiver can be considerably improved by adding the DSP Noise Reduction Module, originally built for the YAESU FT-817 and the KENWOOD TS-50. 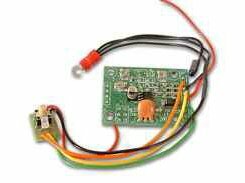 The NEDSP1061-KBD Module is manufactured by bhi Ltd. and I got mine from WiMo Antennen GmbH in Herxheim, Germany. 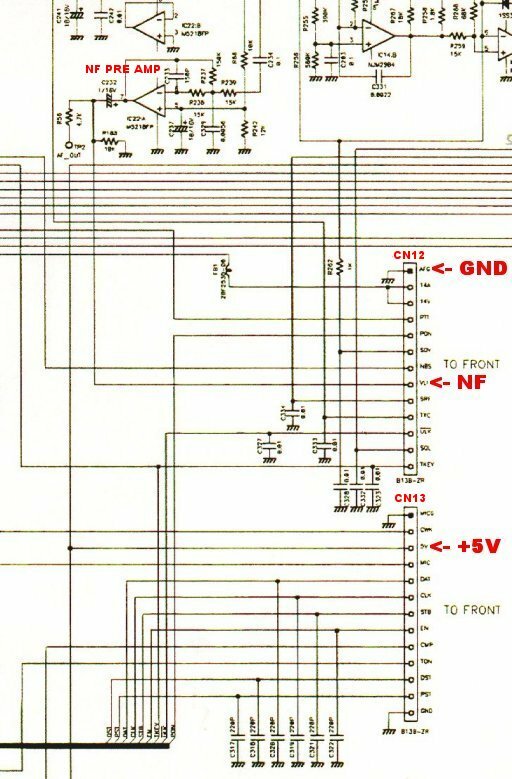 The modification is an easy job, as there is plenty of space under the top cover of the rig and no soldering has to be performed at the PC-Boards. 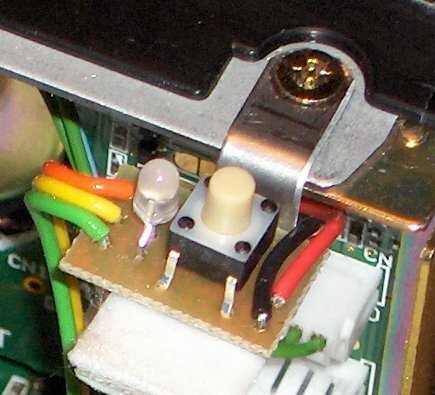 The coupling capacitor has not to be removed and the DSP-Module can simply be inserted in the jumper wires connecting the Main Board with the Front Board. 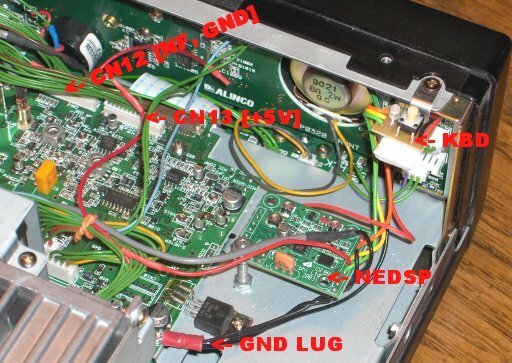 ...and that's how the finished upgrade looks like! 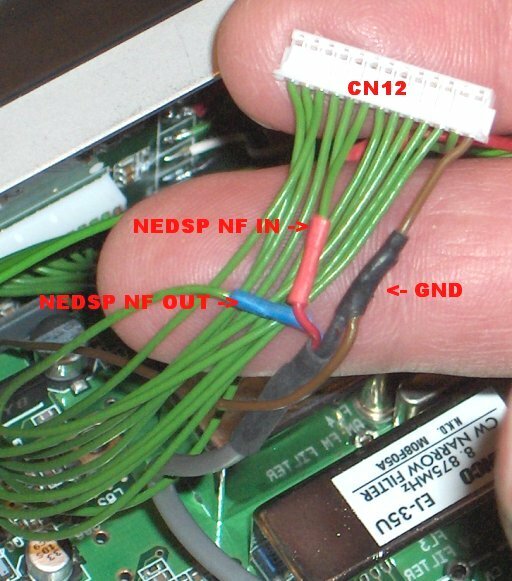 The NEDSP1061-KBD Package for YAESU FT-817 contains all the necessary parts including the angle bracket for the keyboard, except the M3 screw, nuts and washers to hold the PC-Board.